Is this the world's fastest vending machine? This week on The Feed! This week's most popular viral videos include happy snowy owls, an angry ram taking on a giant backhoe, conic 9-ball juggling, rope swinging from a hot air balloon, the world's fastest bike ride and the world's fastest soda machine. First up, turn that frown upside down like the snowy owls in this adorable video posted by Adam Poley. Rambro, the angry ram, is none too happy with the discovery of a 6-ton backhoe on his turf. So, true his species, he decides to ram the bucket over and over again in this headache-inducing clip shared by Buddhanz. Put a former Cirque du Soleil performer in a giant cone with nine glowing balls and here's what you get. Watch Greg Kennedy display his seemingly impossible juggling talents. When out of the ordinary, death-defying stunts need to be filmed for the Internet, there's only one man for the job: devinsupertramp. His latest offering showcases a group of daredevils rope swinging from hot air balloons. French cyclist François Gissy breaks the world record for the fastest bike ride in this video posted by rocketman340. On just two wheels, powered by rockets, Gissy hits a whopping 207 mph. That's a quarter mile in less than seven seconds. 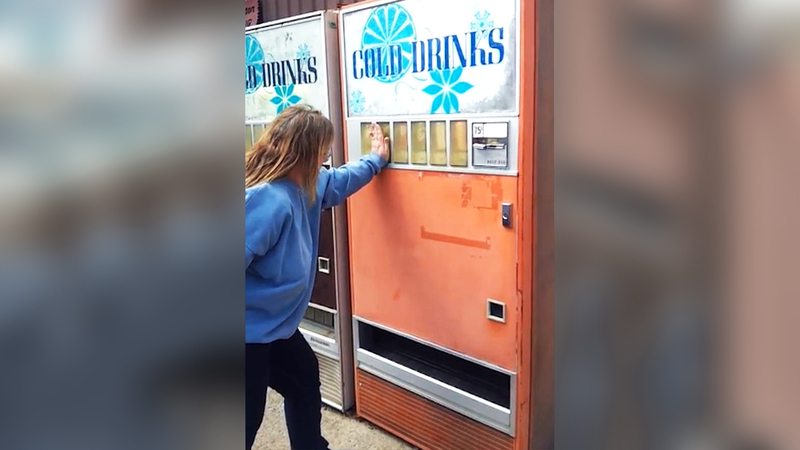 And, people come from all around the globe to Lerna, Illinois, to buy a can of soda from what is believed to be the world's fastest vending machine. This video, shared by worshawc, tests the claim that it's impossible to select a drink and catch the drink with the same hand.